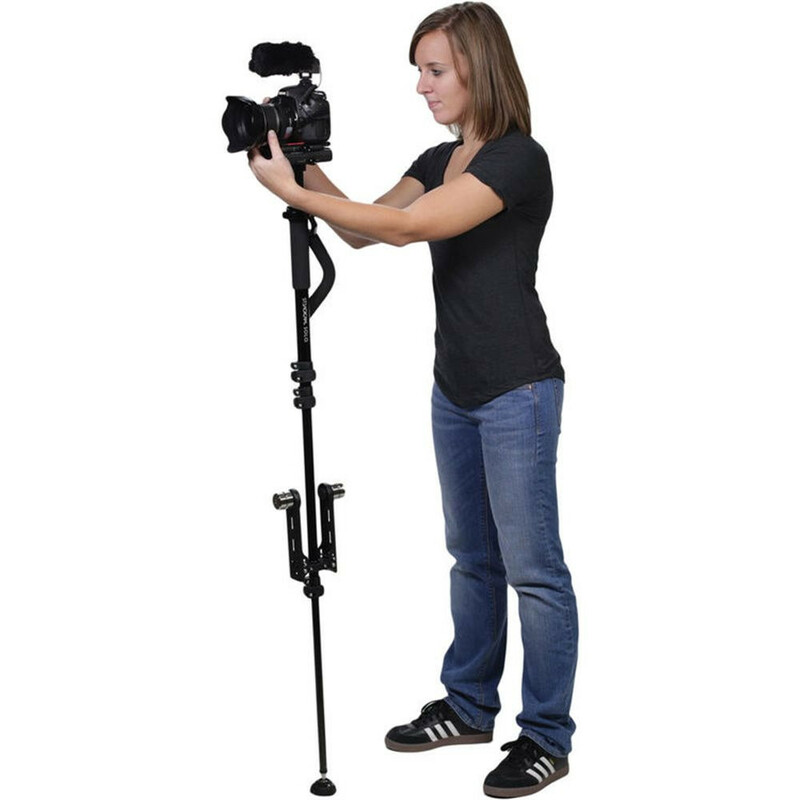 The Steadicam Solo Stabilizer & Monopod quickly converts back-and-forth between a Steadicam and monopod, handily providing the functions of both in one portable unit. It features a 3-axis gimbal and supports up to 10 lb. It telescopically extends out to four sections to approximately average shoulder height, and it folds to a compact 24" in length. 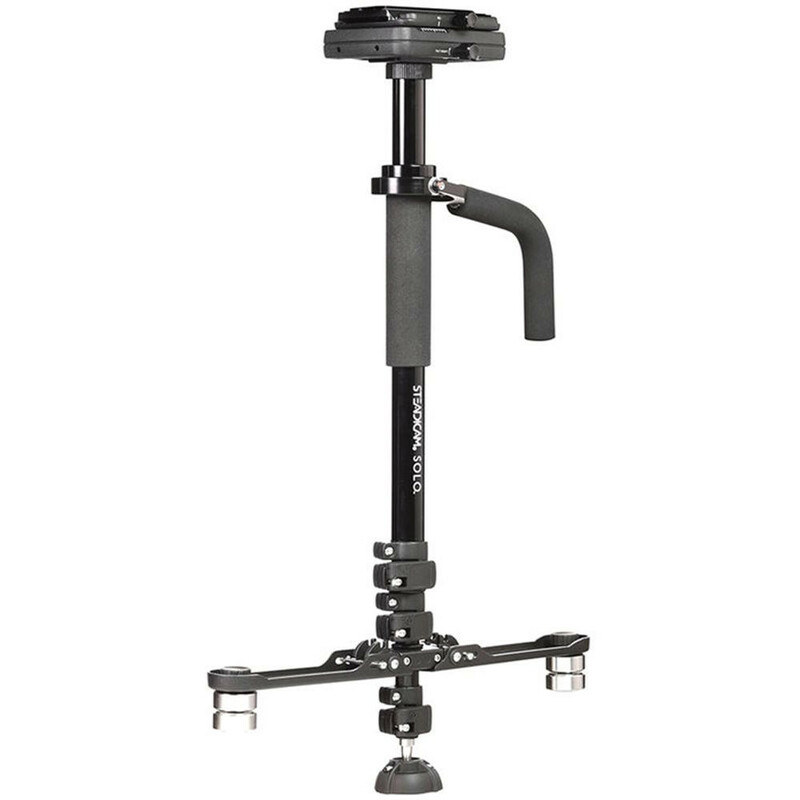 Solo is made of all metal and has an ergonomic foam gimbal handle and post control grips. 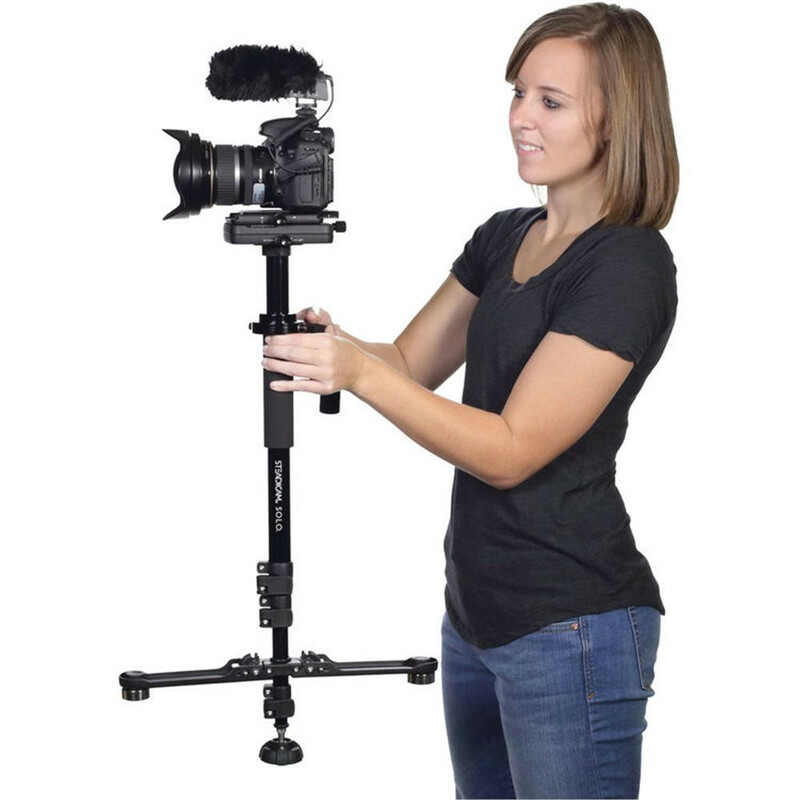 It can be used handheld or with an optional Steadicam arm and vest set. A quick release camera mounting plate and a set of counterweights are included, allowing for out-of-the-box use. Folds to a portable 24"